Here in this very blurry photo (sorry, it was a low-light situation that my phone camera couldn't adjust to), is the "keep" pile from our four-bedroom house-worth of stuff. 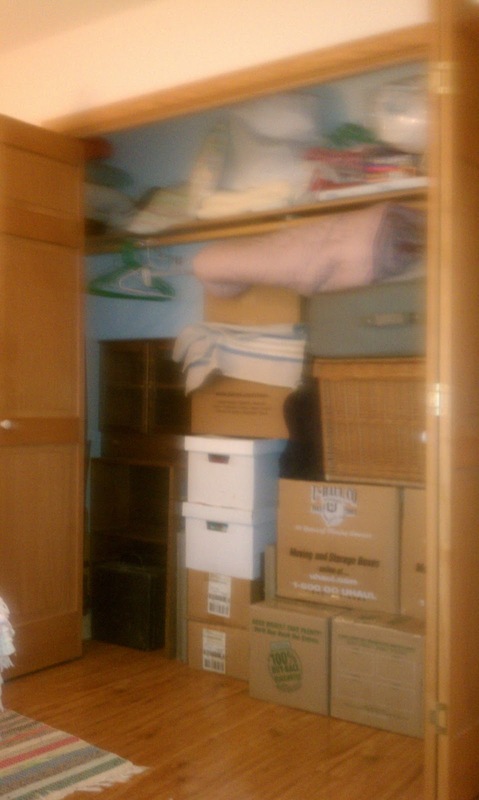 Actually, only the bottom half of the stuff in this closet is ours. Despite having a hunch that it would turn out this way, I am still amazed by how much more stuff we had than we cared about.